At WEFTEC 2018, on display at Booth #1329 are AMERICAN’s resilient wedge gate valves and fire hydrants with ALPHA™ restrained joint ends and zinc-coated ductile iron pipe. Looking for a way to save time and money? Or extend the life of your infrastructure? Discover how AMERICAN’s quality, service and innovation can help at the Water Environment Federation’s Annual Technical Exhibition and Conference (WEFTEC) September 29 through October 3, in New Orleans, Louisiana. 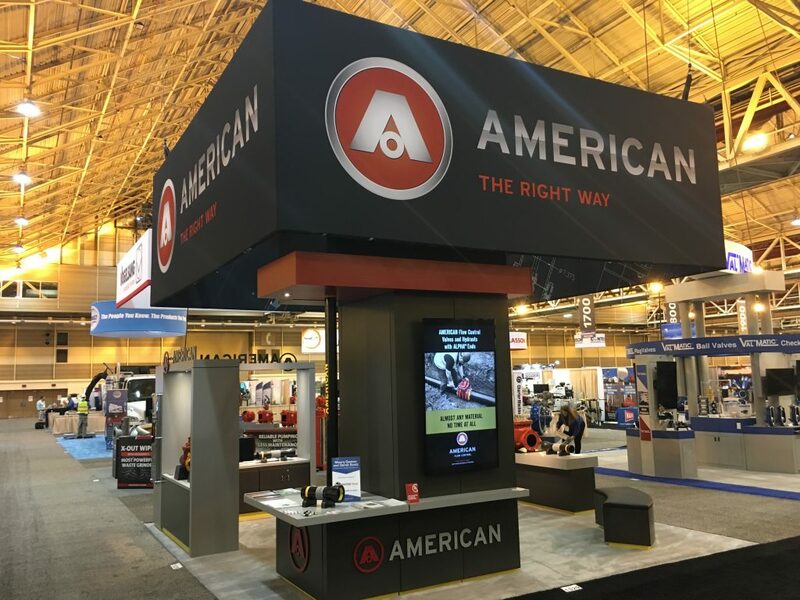 On display at Booth #1329 will be AMERICAN’s resilient wedge gate valves and fire hydrants with ALPHA™ restrained joint ends and zinc-coated ductile iron pipe. Introduced at WEFTEC in 2016, the AMERICAN Flow Control® ALPHA restrained joint saves labor, time and money. ALPHA is used on AMERICAN’s Series 2500 4- to 12-inch Resilient Wedge Gate Valves and American-Darling and Waterous fire hydrants. The ALPHA restrained joint can quickly be installed by one person, is compatible with several pipe materials and uses only one stainless steel bolt versus up to eight bolts on each end of a standard mechanical joint valve. AMERICAN Zinc is a proven, life extending product for ductile iron pipe that is manufactured by applying a metallized arc spray coating of zinc to the pipe’s outer surface. Zinc protects ductile iron pipe in aggressive environments around the world. Zinc-coated AMERICAN ductile iron pipe is the most effective and dependable way to further extend the life of an already reliable and resilient product. In addition to its long service life, ductile iron pipe with an inside cement-mortar lining is known for its sustainability. Iron pipe is made from recycled iron and steel; requires less energy for pumping, making it less expensive to operate than plastic pipe; and is the only pressure pipe to be SMaRT certified by the Institute for Market Transformation to Sustainability. o San Jose Water Company Among First to Install Zinc-Coated Water Pipe in U.S. Listen in Monday, October 1, at 8:30 a.m. Central Time as AMERICAN Ductile Iron Pipe Marketing Services Manager Maury Gaston and AMERICAN Flow Control Marketing and Technical Manager Derek Scott speak with Water Online’s Water Talk about zinc, ALPHA and more. Each year, WEFTEC draws thousands of water industry professionals from around the world to learn about the latest innovations and solutions for water environment preservation and sustainability. To learn more, visit weftec.org.